Create and send video emails in just 3 taps! Record, upload, and send! 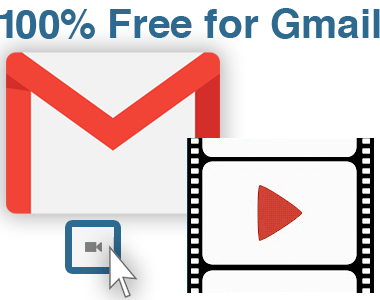 Free Video Email for Gmail is fully integrated with your Gmail account. With three clicks, you can record, upload, and send video emails directly from Gmail. Record video and audio directly from your computer’s webcam and microphone. Just sit down, look into your webcam, and record your message. It’s that easy. When you’re done with your message, click “finish.” Your video will automatically upload to your Gmail account. Unlike most video applications, you do not need to export, download, or upload the video to share it. Everything happens directly within Gmail. Free Video Email for Gmail has almost universal 5-star ratings from users who’ve downloaded it in Chrome. You can easily install Free Video Email for Gmail in seconds from the Chrome Web Store. Once installed, the tool will be seamlessly embedded into your Gmail or G Suite email account. A free plan is available for anyone with Gmail or a business email hosted by G Suite. 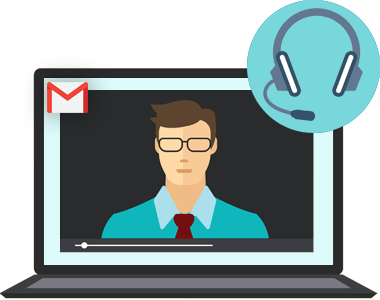 Simply install Free Video Email for Gmail from the Chrome Web Store to use the tool. For a few dollars a month, you can upgrade to the premium for additional features (including link tracking, save videos to Google Drive or Dropbox, and email and phone support). How Are People Like Me Using Video Email for Gmail? If you’re a salesperson, a big part of your job is finding ways to stand out from the competition. 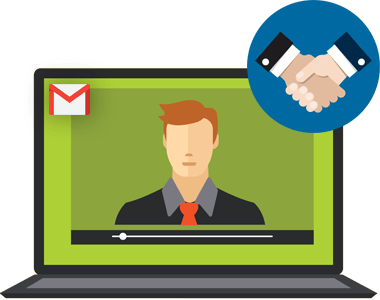 Free Video Email for Gmail lets you easily and quickly record video messages for prospects, customers, or anyone you’re working with. As a service professional, you work closely with clients and customers to ensure they get the result they’re paying for. Creating videos with your webcam is a simple, fast way to send updates about a project, discuss a problem you’re having, or share personal messages to keep the relationship strong. Remote teams can sometimes feel disconnected from each other. 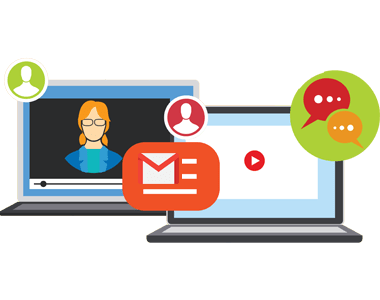 Sharing videos using Free Video Email for Gmail is a great way put faces to names—without constantly having to coordinate calendars to hold conference calls.